Cooking with ingredients you already have in-house can be difficult sometimes. Over the past week, I was inspired to make a fancy meal with everything in the house. I took on this challenge with a friend named Jessica. 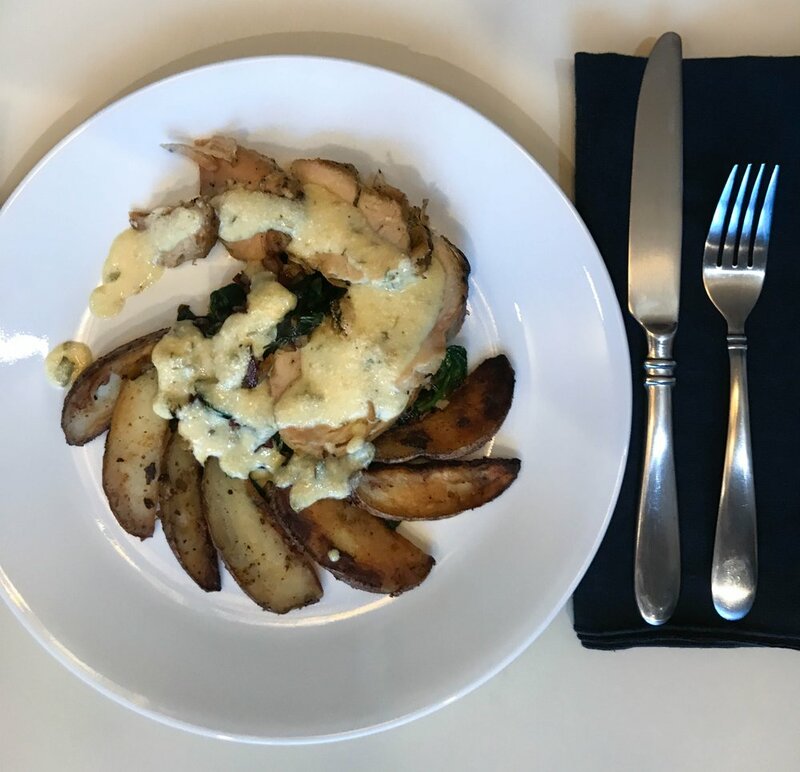 We were scouring the cupboard and fridge for ideas when it hit us: we were going to make a chicken dish with potatoes and spinach topped with a Moscato reduced tarragon mustard sauce. 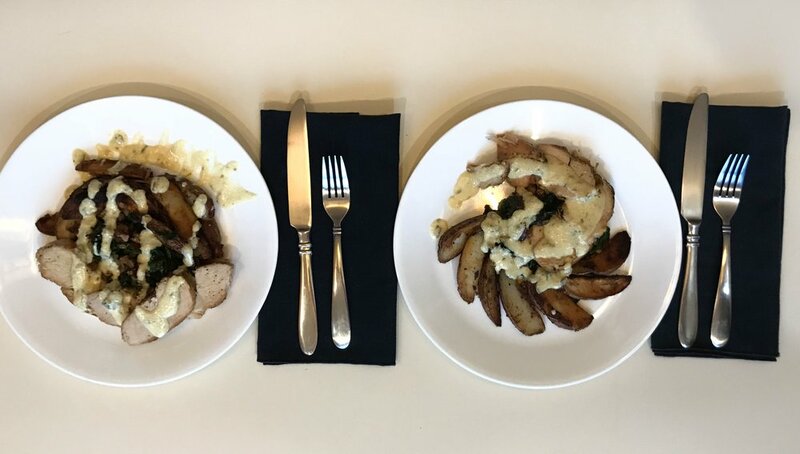 Grab a cast iron pan (it's the best for crisping potatoes, but a normal pan can substitute) and heat up the cooking oil then place cut potatoes into the pan. Stir intermittently for roughly 20 minutes, or until desired crispiness is obtained. 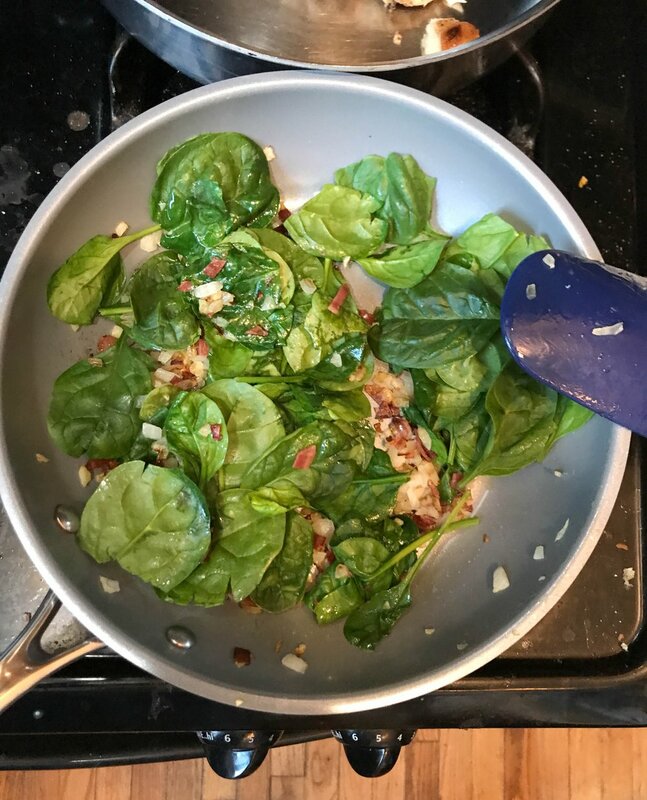 Saute onion and bacon in a pan until the onion turns translucent, then add spinach and continue to saute. In a small pan, cook the wine until reduced (roughly 1-2 min). Then pour the mustard, tarragon, and cream in the pan and cook until brought to a simmer. Once at a simmer, stir constantly for 2 minutes. Optional: For the sauce, add some cornstarch and water and mix into the sauce until desired thickness is obtained. I know that I will be reusing this sauce for so many other recipes. It added so much savory flavor that I want to add to more dishes. If you try this recipe, I would love to hear what you thought about it!